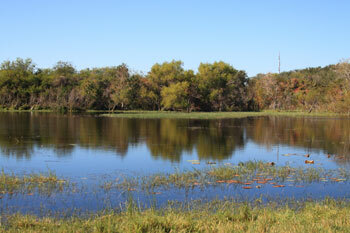 These ponds are on A-1 Hill Road, which is located off FM 1069 south of Hwy. 188. The ponds are located on both sides of the road. The ponds tend to disappear after periods of drought. The best time to visit is in winter. A Masked Duck was found here in 2001. Hwy. 35 Bypass, about 1 mile north of 188 on the eastern side of road. Watch for the Great Texas Birding Trail sign. This location is a fresh water marsh surrounded by oak mottes and native grasses such as little bluestem and bushy bluestem. Site has a windmill, walking tails and an observation deck. Head south out of Rockport on Hwy 35. Turn left onto Cove Harbor North. Park in the big parking lot at the end of the road. Walk to the fish cleaning station and scan the channel and small islands. Good area to scope for large groups of wading birds. On the left of Hwy 35 before you get to Cove Harbor. 100 acres of wetlands. Sight is dependent on water flow. 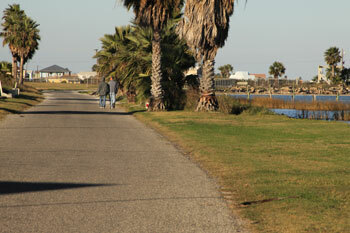 This boardwalk can be productive after rains, especially in the winter and spring. This is private property. You must bird from the road. 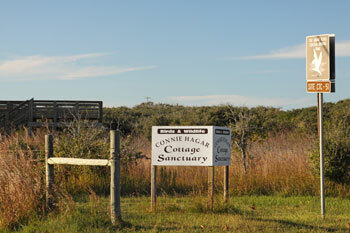 Proceed south on Church Street past the Connie Hagar Cottage Sanctuary. At the bend there is a sign pointing to Shell Ridge Road. Immediately after the sign take the fork to the left (this is 5th Street). The road will bend and pass St. Joseph’s Cattle Company and you will be on Shell Ridge Road. Private property. Please stay on the road in your car and drive along the shoreline. Check the fields on both sides of the road for Shorebirds. In the summer, Least Terns nest in the sand in the first field to the left. In the winter, large rafts of Redheads will be found floating in the bay near the road. Corner of South Church Street and East First Street. Parking along E. First Street. 6.25 acres with observation platform. This sanctuary is a mixture of oak motte and native grasses. This is the original location of the famed Rockport Cottages, operated by Connie and Jack Hagar. Mrs. Hagar moved to Rockport in 1935 and devoted her life to documenting birdlife in the Rockport area. Follow FM 1069 to a sign marking the Cape Velero subdivision. Turn onto Cape Velero Drive. Follow this road to the marshes of Port Bay. This is a windy road with marshes on both sides. This is a private area. Do not walk or park on any area except the road. From FM 1069, turn onto FM 1781. Moore’s Pond is .3 on the left. Pull off the road onto the gravel and grass. This is a busy road. Be watchful of cars. Concho Street This is a pay area with Little Bay to the left and Aransas Bay to the right. At the end of the park there is an observation platform overlooking Bird Island, which is spectacular in the spring with numerous nesting birds. This is an important nesting site of the Black Skimmer. This 5-acre site is located on Highway Bus 35 North, across the street from Walmart. You will notice a roadside park with shady parking. Enjoy a walk along the boardwalk. Follow the trail beside the demonstration garden to the pond in the back of the property. 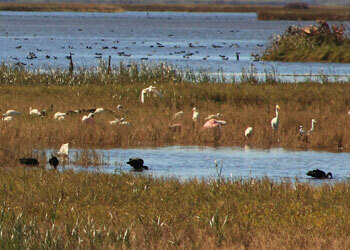 This site is sometimes called Tule Marsh East by Rockport residents – don’t let the name confuse you! 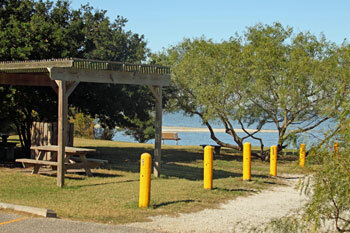 This is a small park with access to Copano Bay. There is a short trail through brush. There are picnic facilities. Stands of Mesquite and Texas Ebony trees. Previously named Aransas County Airport Park. Actually a portion of the old highway that crossed Copano Bay. You can access the pier from the north and the south. Parking available. South end of Copano Causeway, across the highway from the fishing pier. Parking available. Small beach area forms a protective cove. 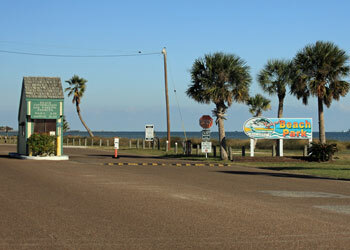 Park Road 13 at the north end of the Copano Causeway. Pay area, pick up birding checklist and map. The park has a variety of hiking trails, paved roads, feeder station, and water drips. 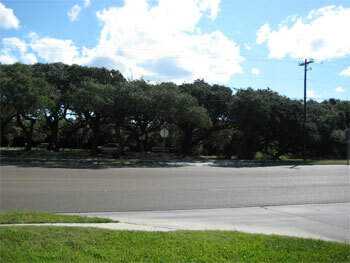 The park has as area of Live Oak trees with understory, grassy areas, and marsh. wide assortment of spring migrants. Most of the area’s 27 regular Wood Warblers will be found here at the water drip, along with Grosbeaks, Tanagers and Orioles. Heading north, turn right at the flashing light at Holiday Beach. Take right onto St. Charles Loop West, turn left onto DeSota Drive, turn right onto St. Charles Loop East, and then right onto Lakeview Drive. Lakeview Dr. is a dead end. You can park along the right and walk along this freshwater pond. North of Rockport on Hwy. 35 at the first bridge crossing a creek. From the south, follow Hwy. 35N to FM 774 exit. 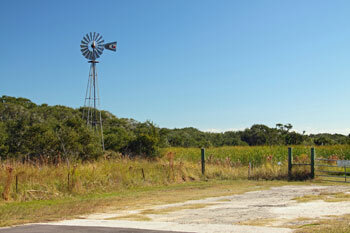 Turn right on FM 774 and go approximately 6 miles winding through the farm fields. Turn right again on FM 2040. 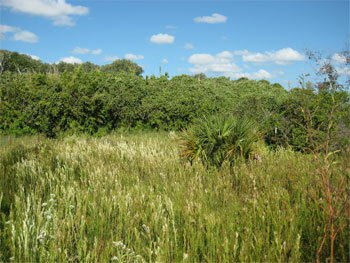 Open bay, flats, ponds, marsh, coastal prairie and woodlands.